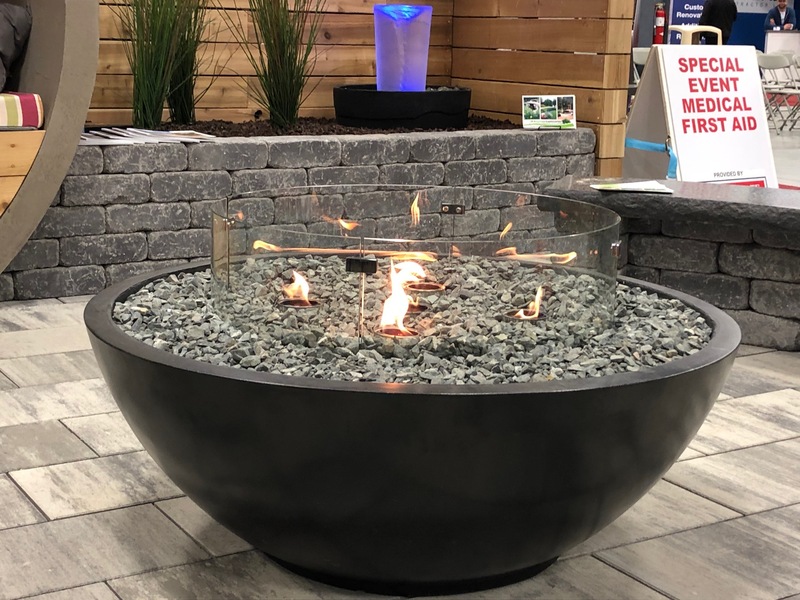 Spring is here, which means the Home and Garden show at the RBC Winnipeg Convention Centre is around the corner too. 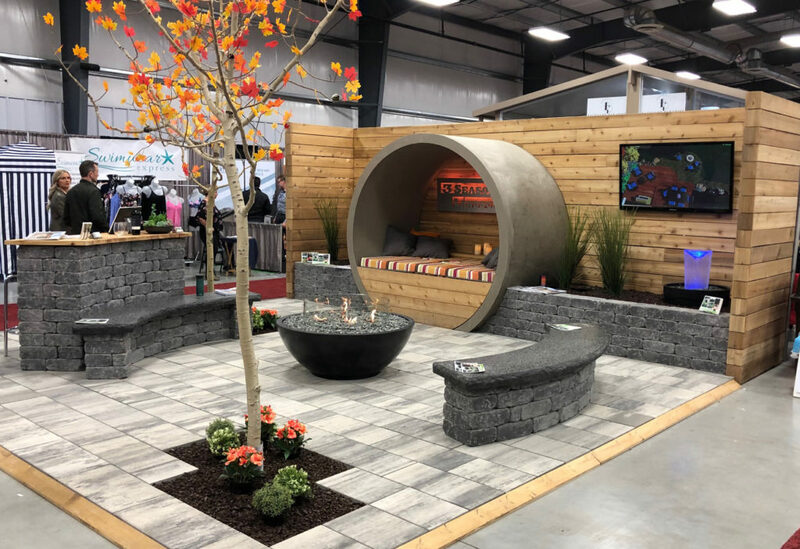 We have a cool new display this year featuring a round concrete day bed, a contemporary fire bowl for your patio and custom made fire pit benches and an outdoor bar. 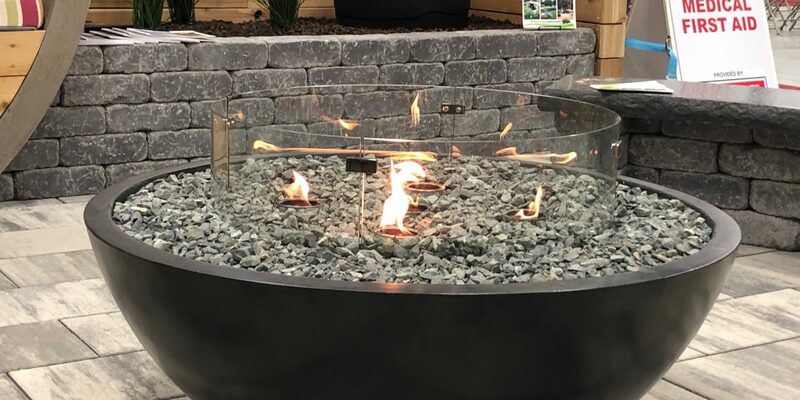 Our staff and design team will be there every day and available for questions and discussion on anything in the world of landscaping. If you have a project in mind for this summer, come down and see us and we’ll set up an in-home consultation, free of charge. Stone bar with a cedar counter top, matching our horizontal cedar fence. Custom made benches and a concrete day bed are the focal points.